Did Triumph know what it was starting? The TR2 practically defined the new wave of British sports cars that came along in the 1950s: quick, basic, admirably strong, and under the bonnet, a well-proven engine from a saloon car with an extra carburettor bolted on. 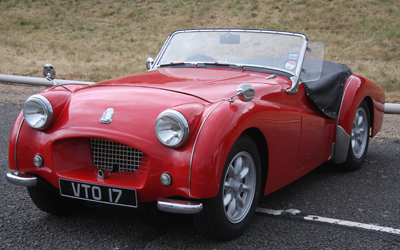 Instantly distinguished from later cars by its deeply recessed grille, the TR2 will easily pass 100mph, won rallies in its day, and is still popular for classic rallying. A strong seller, it could be worth hanging out for one built after October 1954. These got shorter doors so you could at last get out next to kerbs.